I don’t think there’s such a thing as a bad Coen Brothers movie. Now, I haven’t seen them all, so I can’t say that with all confidence, but as they somehow gain more and more momentum with the passing years, and the veneer on their product keeps getting shinier, it’s hard to imagine them making any really evident mistakes. Not only is this impressive when considering their startling prolificacy, but also because, frankly, the Coens don’t play it safe. They’re not churning out standby material with rote characters and tested plots. They change it up every single time. If I were an aspiring director I wouldn’t even bother trying to emulate them, because there’s just no way you’re going to do the things they’ve done. 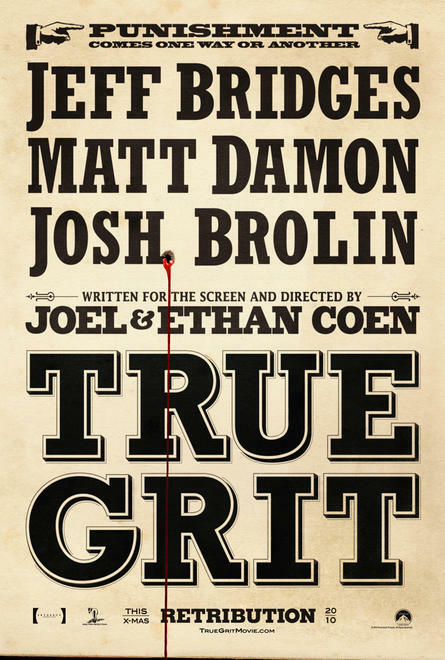 True Grit is the latest example of that consistently inconsistent greatness; a cocky and witty western from a pair of legitimate talents in their apparently never ending prime.